Metric Junkie™ is a free web service that automatically collects Amazon “Sales Rank” information for books, CDs, DVDs, MP3s, Apps, and Kindle ebooks. The information is then displayed in a meaningful and compelling way through vibrant charts and graphs. This data can then be analyzed by you to track sales, estimate product market share, and understand the effectiveness of your promotions, and ad campaigns. See how your current Amazon Sales Rank compares over a period of time. The highs and lows versus the current sales rank. Review your sales rank over a period of time to better understand when sales events are occurring. Using a proprietary formula sales events can be estimated by noting dramatic changes in Amazon sales ranks. Though we cannot deduce the number of items sold during a given time we can assume one or more items were sold. We call those Cha-Chingers because they represent a sale. 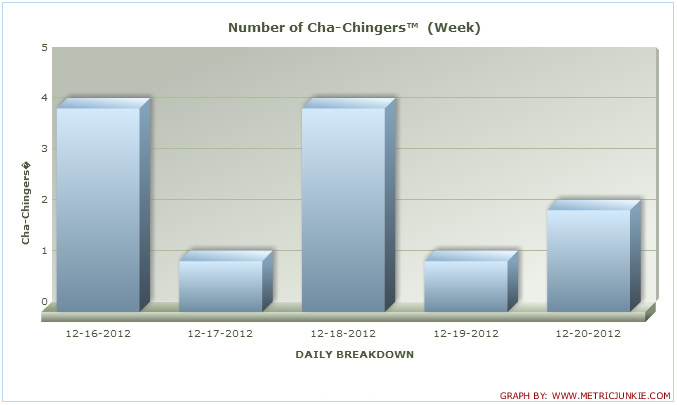 The Number of Cha-Chingers show how many of these sales event happened over the selected time period. 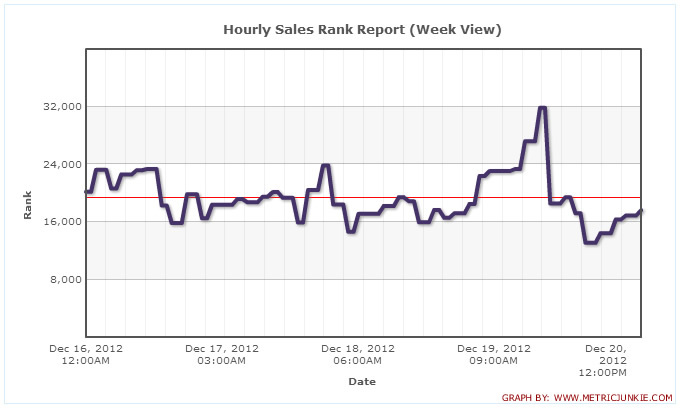 Metric Junkie also enables user to compare sales ranks between items. Want to know how many kindle version of your book sold in comparison to your hardcover. Metric Junkie can do that! For more information visit the Metric Junkie site.